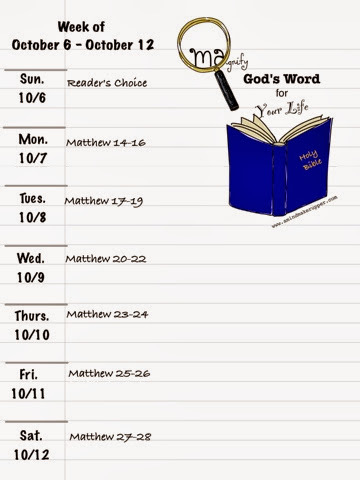 We begin the last of four gospels today as we read John 1-3. John is known as Jesus' "beloved" disciple. John's book is different than the other three gospels we've read so far because it is more about Jesus' reasons for coming to the world, His purpose for being here...both then and now. You will notice, John doesn't share the parables, and he only mentions a few miracles. I found a wonderful study guide for comparing the four gospels in more detail at ChristianShepherd.org if you are interested. John definitely has a way with words, and we come to understand the intimacy of God's deep loving relationship with Jesus and with us. It's comfort for the soul. Luke 23-24 brings up all kinds of feelings in me... mad, scared, uncertain, sad, surprised, joyful, amazed, hopeful, certain.... We go through Jesus' death and His resurrection. When Jesus finally rises from the dead and ascends to Heaven, I breathe a huge sigh of relief that the horrible ordeal is over. It really happened. Jesus really died; and by God's mercy and grace, we are saved from our own sins forever. We are left with an invitation to follow in Jesus' footsteps as a family of believers. Jesus finally has to face the trouble He knew was coming His way in Luke 20-22. His authority is questioned again and again by those who don't believe. Jesus is betrayed by Judas and others in control trying to incriminate Jesus. There are lots of stubborn unbelievers. And then there are those who do believe and know who Jesus is. They are sure of His authority, both in the present world and in Heaven. Their hearts are open to all He has to teach. That's me. I believe. My heart is open to Jesus. But, I still make mistakes all the time. Luke 17-19 Jesus continues His ministry, and we get to see Him come into His own as Lord and King when He returns to Jerusalem. In this place, Jesus is both the most loved and the most hated all at the same time. We are able to see the results of all He has been doing and saying in the world. It becomes clear that those who know Him, are sure of His majesty and power. Just like us, their lives, friends and strangers alike, are better because of Him. 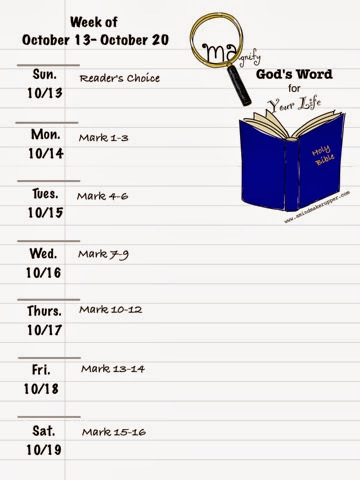 Today, we dive into Luke 14-16. Jesus illustrates and explains in so many ways how important His believers are to Him. And He goes on to remind us that it is not the most independently righteous He tends to the most. He has a very special place in His heart for the humble servants, the grateful givers, the lost, the least, the last, the sinful... all of us, who even though we mess up, turn to Him for the forgiveness and love we truly need in our lives. The scripture that catches my attention today comes up when Jesus talks to His disciples about the "cost" of following Him. Yes, Jesus is talking to Peter, Andrew, James of Zebedee, John, Philip, Bartholomew, Thomas, Matthew, James (son of Alphaeus), Thadaeus, Simon the Zealot, and Judas Iscariot. He is also talking to us who believe. What He says is, at first glance, shocking. He is very blunt. For sure, this is one of those Bible scriptures that cannot be read literally. We have to think like Jesus, who purposefully and effectively talks in parables and answers with symbolism. We know Jesus is not telling His followers to hate their families and never see them again. That just would not make any sense. Jesus is all about loving our families and our neighbors, and we can validate that over and over again throughout the Bible. I found a great explanation on these verses from a blog called Tough Text Tuesday by Pastor Mark Driscoll. Basically, I think Jesus wants us to know what we are getting into when we choose to follow Him. It is not without cost, and we should consider the cost so we make an informed decision. It requires us to let go of life as WE KNOW IT. Following Jesus changes us, and it changes our relationships. Jesus wants to be our number one priority in this life. I think the language is strong here because Jesus wants to stress the importance of our relationship with Him once we accept Him as our Lord and Savior. Taking up the cross is a heavy responsibility AND full of blessings. What do you think that means for your life? Can you relate? What are your thoughts on this scripture? Thank you for my relationship with You. Thank you for always being there, for listening, guiding, and encouraging me. Help me grow closer to You. Show me how to let go of the things that keep me from Your perfect will for my life. You are my Rock and my Redeemer. Luke 11-13 begins with Jesus teaching us to pray. Jesus also encourages us again and again to draw closer to God. He reminds us how much God loves us and cares for all our needs. Jesus calls us to have servant hearts for God in all that we do, and He explains many times what that looks like in the world. He also tells us a few stories to make us examine our ways of thinking, doing, and living. His goal is clear. He is trying to save us from ourselves. I was thinking about the parable of the Rich Fool today (Luke 12:13-21) and our longing in this life to "eat, drink, and be merry." That certainly sounds good to me at first glance. Praying. Teaching. Loving. Forgiving. Healing. That's Jesus. 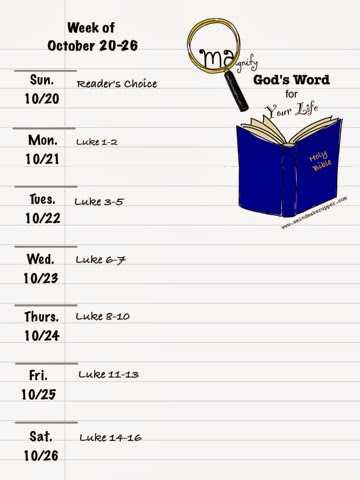 Luke 8-10 repeats many of Jesus' teachings that we need to hear again and again. There's "The Parable of the Sower," and "A Lamp On a Stand," Jesus calming the storm, and feeding the five thousand. Jesus works more miracles in those He meets. He drives out demons, raises a girl from the dead, and heals the bleeding woman. This is also when Jesus is transfigured on a mountain. Lots of powerful, Godly moments are happening. Through all these stories, every time we hear God's word, we deepen our relationship with Him and grow in our understanding of His awesome character and will for our own lives. I want to turn my attention today to an argument the disciples have about who is the greatest among them. Disappointment. It's hard to take. It comes into the picture when the reality we face is not what we would choose for ourselves. There's the awe shucks kind of disappointment on the one hand, and then there's the kind of disappointment that reaches our heart and makes us hurt so deeply we can hardly breathe. And when our hearts hurt, we are forced to do some soul searching. We reexamine what we know to be true. 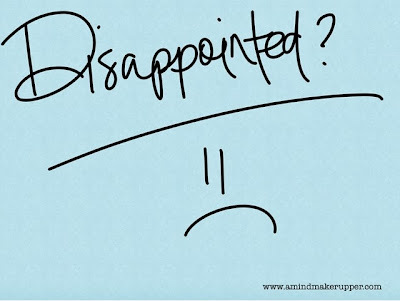 Disappointment can be agonizing and make us feel paralyzed in time. It can be life changing. 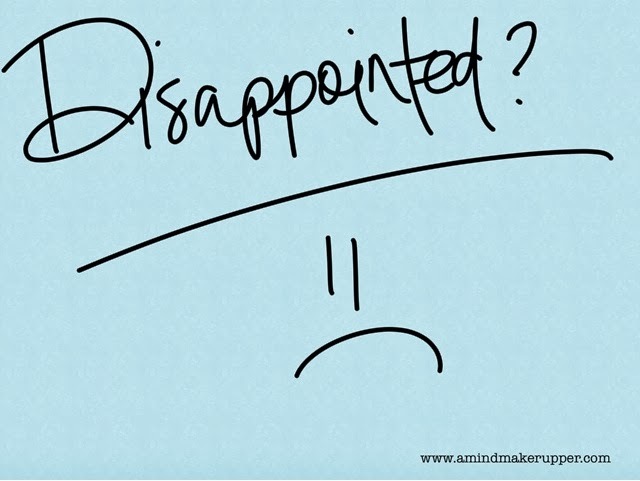 Disappointment comes in all shapes and sizes, and it doesn't matter how old we are or how hard we try to avoid it. It hits us when we don't want it to. Disappointment interrupts the perfect lives we think we need in two ways. From one direction, disappointment comes from circumstances completely beyond our human control, some thing in our life that just isn't the way we want it to be, some news we didn't want to hear, some event we wished had turned out differently, results we weren't expecting. Despite our best and good and honest efforts, it cannot be helped, and we have to deal with it. That's one source of disappointment. Then there's the disappointment that comes from people. It's inherit in our nature as human beings. No matter how much we love, we disappoint, and we are disappointed. People do not meet the expectations we have for them. Whether we like it or not, at some point, those closest to us disappoint us. People run from the truth, create some false sense of reality, act in ways that we know are not good. People make mistakes, choices that are clearly wrong or unhealthy. It's so easy for us to see, and it seems nearly impossible for them to see. Sometimes bad choices turn into long lasting bad habits we cannot understand. People end up hurting themselves and others. Sometimes, we disappoint ourselves, and there's no one else to blame. It is frustrating. It can be devastating and even life threatening. And in a world of disappointment, sometimes we have to deal with both disappointing, uncontrollable circumstances and disappointing people all at the same time. That can be a lot to handle at once. Why am I writing all this? Well, because that's where I found myself not too long ago, and I am struggling to work through it. Heartbroken. Deflated. Exhausted. Out of words. Because, don't you know, not even our most convincing arguments and our most devoted efforts can change our disappointment. It's there, here, now what? In Luke 6-7, Jesus is doing lots of teaching and healing. He makes connections with so many people. He basically tells us "how" we are to love one another the way God, our Heavenly Father, loves us. Jesus calls His twelve "apostles," also known as His disciples. I learned the difference today between a disciple and an apostle. I have always used those two words interchangeably without knowing what I was saying. In case you are wondering about the distinction, a disciple is one who is taught by the one he/she is following. An apostle is someone who has actually seen the person he/she is teaching others about. The scripture that is speaking to me, specifically, today is about love. Today, we start reading Luke, another gospel in the New Testament. You know me, I like to get a little background on what I am reading, and I found some good stuff about Luke from Grace to You. Luke is thought to be a Gentile, the only Gentile to write books of scripture. He is also the author of the book of Acts. Luke was a missionary with the apostle Paul, who describes him as a physician. In this book, Luke writes to a guy named Theophilus, a Roman dignitary, describing what he knows to be true about Jesus and our Christian life, based on his own confirmed research. For sure, Luke's writing has a much bigger audience and purpose than the single man he addresses. when yours has run out. Thank you for my friends. Young and old, near and far, new and way back, they are true gifts from you. They are your loving arms when I need them the most. I pray for them today. Bless them, Lord. Let this prayer reach their hearts and fill them with the power of your love. Waiting. I seriously think that is one of the hardest things about cancer. For those in the middle of the battle, fighters and frontline hand-holders, the waiting creeps in, one doctor's appointment to another. Without much warning, we suddenly feel like we are frozen and everyone else just keeps flying by at the speed of life. So much of fighting cancer is wait and see, and don't hesitate to let the good doctor know if anything changes. It's the hang in there period, the learning to live with it, the try not to think about it every second, the go on with your life now part, the hold on to your dear life, your family, and your friends, all the in-between times that are so difficult to figure out. The unknown, the uncertainty, the unpredictability of it all, and more waiting with precious life on the line, that's the real struggle with cancer. We all know it's ugly, but when we have to look at it square in the face of someone who is part of who we are, we really see just how hard it is. In Matthew 11-13 Jesus is teaching and preaching everywhere He goes, and He is drawing crowds and attention. People notice when Jesus is near. Awesome and amazing things are happening before our eyes; and yet there are still many who do not believe. Some even oppose Him and stir up trouble. I am shocked to hear Jesus called a "glutton and a drunkard, a friend of tax collectors and sinners (Matthew 11:19)." The ironic thing is, these crazy accusations are at the heart of what make Jesus so great. 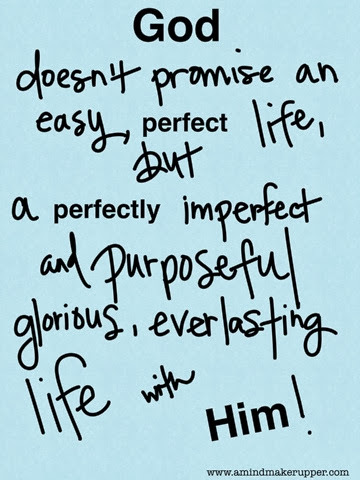 He relates to us, reaches out to us, and loves us, as imperfect as we are, even though He, himself, is perfect and Holy. 25 “I praise you, Father, Lord of heaven and earth, because you have hidden these things from the wise and learned, and revealed them to little children. 26 Yes, Father, for this is what you were pleased to do." It makes me think about all the times in my life when the faith of my children strengthens my own faith and shows me the way. Can you think of a time when that was the case for you? And despite the troubles Jesus faces, He doesn't give up in sharing God's light with others. If Jesus is frustrated and tired at this point, it certainly doesn't stop Him. He gives us an invitation we'd be silly to turn down. Gentle and humble in heart? Rest for my soul? Yes, please. Thank you for the gentleness and rest I have in Jesus. I thank you for all of Your little children who lead me and inspire me as they let Your light shine through them. I pray for them today. I also pray for all of those on my mind who are weary and burdened right now. Give them rest, please Father. Be with me today and fill me with Your joy. Guide me in sharing it with others. Jesus is so amazing. That is what keeps running through my head as I read Matthew 8-10 today. These chapters are full of Jesus' miracles; but much to my surprise, that's not what makes me say that. Yes, the miracles themselves, the healing that is happening is extraordinary. Even more extraordinary, though, is the mercy and grace that Jesus offers us as sinners. Malachi is the last book of prophecy in the Old Testament. God's people have returned from exile, and again, they have gotten lazy and careless in their attitude toward God. 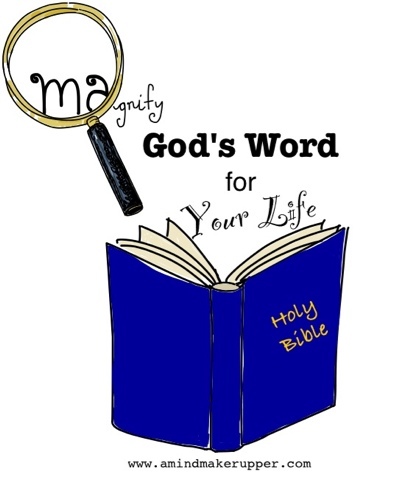 The big idea in this book is that we belong to God in "body and spirit (2:15)." 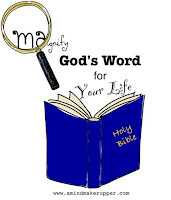 One of my quick go-to resources, Know Your Bible: All 66 Books Explained and Applied points out that Malachi is the "final word from God for some four hundred years, until the appearance of John the Baptist and Jesus, the Messiah." That is a long time without hearing from God, but we know He makes an awesome promise and keeps it.